This article is dedicated to all the Masterchef’s of their Homes. We all wish that the food we prepare at home should taste good and it should be healthy.We the mums and wife’s are always confused about which brand of oil should we use to give our family the best healthy food. 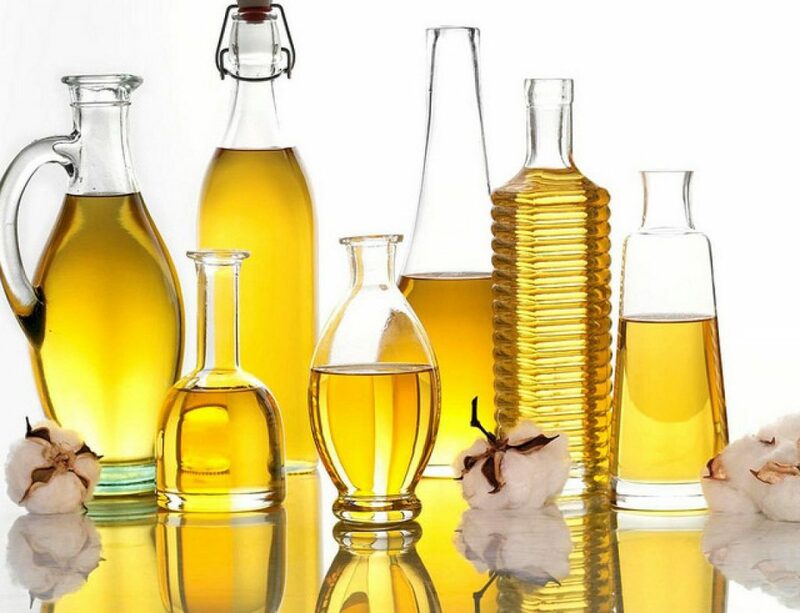 I am going to share with you the List of best Best Refined Oils Brands which are available in the market. I hope this will ease your hassle in selection. Health issues are the main concerns that we face nowadays. Our health providers always guide us that the oil we use in preparing the food affects our health. Fortune Oil brand was introduced in 2000 by Adani Group, Ahmedabad, Gujarat. There are different varieties of oil available such as groundnut oil, sunflower, mustard, and rice bran oil. 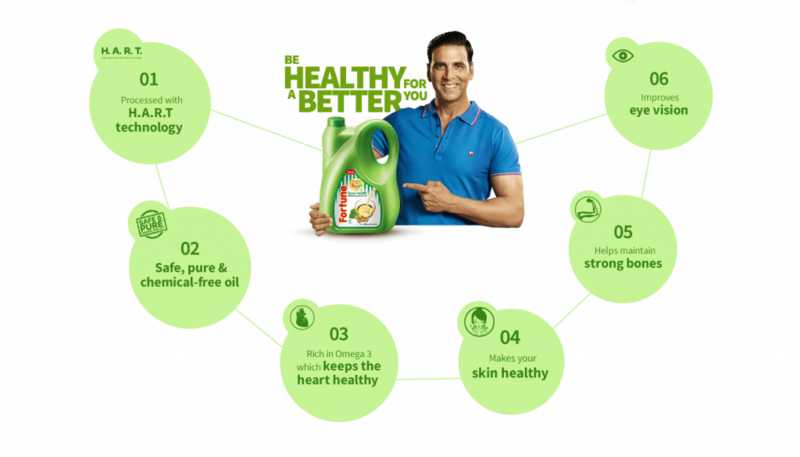 Since its inception in the market, within two years it has become the number one brand of India. Rice bran is the best product of this brand and offers various health benefits. Presence of Gamma Oryzanol helps in the reduction of bad cholesterol levels and improves the good cholesterol. Keeps the heart healthy & strong. Other benefits are protected against diseases due to the presence of antioxidants, improved skin tone, etc. From my side…Give it a try!!!! Saffola is the next on the list. This brand is in the market since the 1960s and since then it has been recognized as the best oil for a healthy heart. It will be a great decision to use it right now. Oil has a high concentration of monosaturated fats; therefore, it is stable to heat, and this makes it excellent for deep-frying. Absorbed less in the body. 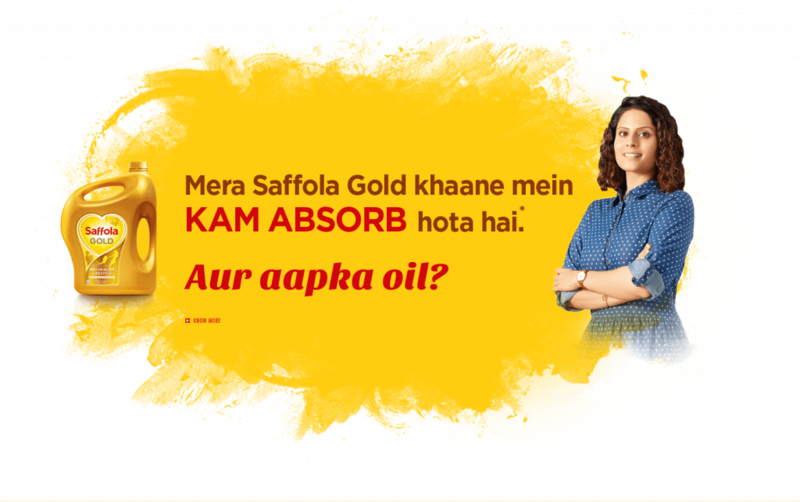 Saffola Active Oil is enriched with Omega-3 & Oryzanol. Proper functioning of the body. Saffola Active is also enriched with Vitamin E which makes our immune system strong. Sunflower is a brand which belongs to America and due to its benefits, it is being used globally. This oil finds its place in cosmetic formulations in addition to cooking. Its main composition is Linoleic acid, palmitic & Oleic acid. This oil has a perfect balance of polyunsaturated and monounsaturated fats. Good for skin problems like general redness, eczema & acne. Nature fresh is in the field of oil production for years. 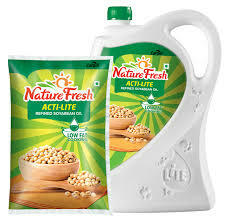 Recently they have launched a product in the market “ACTIHEART” which is giving tough competition to all other brands. 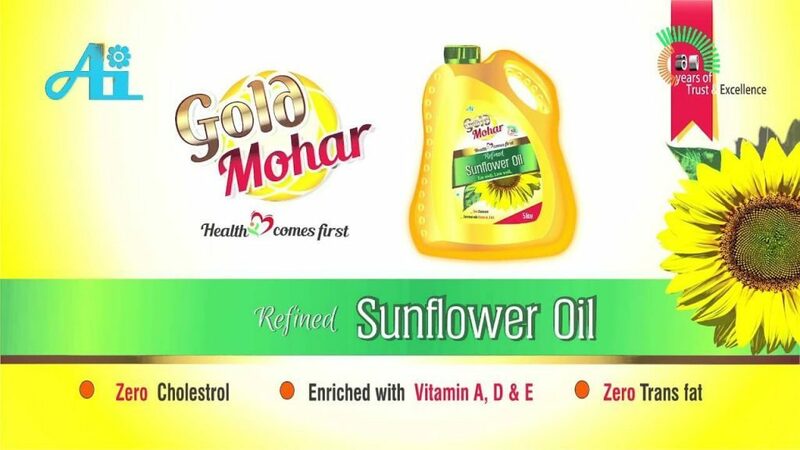 The Uniqueness of this oil is that it provides the combined benefits of high oleic acid sunflower oil, canola oil & rice bran oil. Produced from Latest Technology, so it is consumed less while preparing. It doesn’t contain any type of saturated fat. Also helps in reducing cholesterol. Thumbs up from my side! Please Give it a try……!! It’s rocking the market. 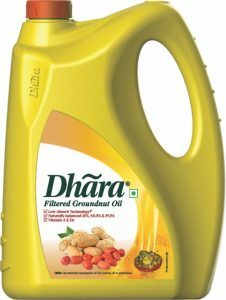 Dhara is the proprietary brand of Mother diary and came into inception in 1988. Since then it is doing good in the Indian market. Recommended for those who are looking for healthy oil at a reasonable price. Sundrop Oil was introduced in 1989, and since then this brand maintained a differentiated and strong position. 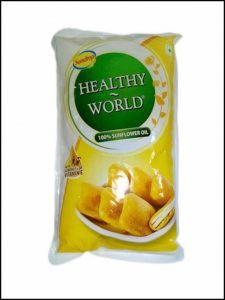 It started with Sunflower oil, mustard & groundnut oil but now it offers a variety of products as per the requirement of its customers. 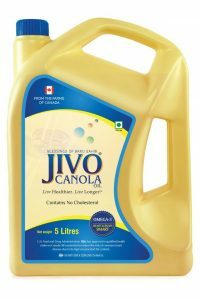 Jivo Canola Oil is also one of the popular brand available in the market. It is the best alternative to any other product due to the advantages it offers to keep us healthy. Consumers can use it without any complication. Helps in reduce skin problems and aging signs. I have shared above the Popular & best-refined oils for your Healthy Life. If you do not trust my words, Choose any one of them, give a try and enjoy the pleasure of tasty food and a healthy lifestyle. Use different types of oil every month to have the benefits of all. Keep rotating.